Good training needs analysis enables training programs that meet specific needs and lead to measurable performance improvement. A training needs analysis usually starts by someone asking, "what training do we need?". The answer to this question tells you the training WANTS, not the training NEEDS. PACT recommends you turn the training analysis on its head. Put aside training aside and start to focus on the desired end point - the performance you are aiming for. Get that picture really clear and then you can look at what is required to achieve that performance - and training might be one of the strategies. 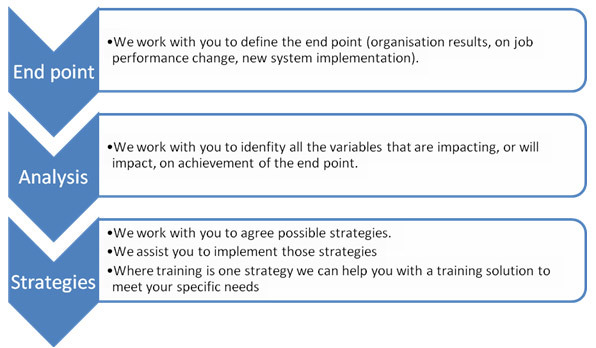 At PACT we take a systematic approach to your training analysis.